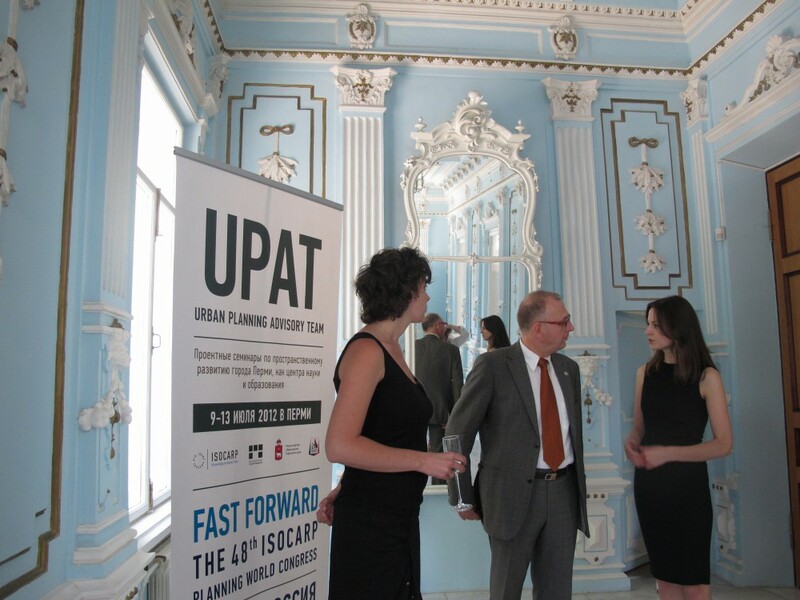 An ISOCARP Urban Planning Advisory Team (UPAT) is an international team with five, seven or nine ISOCARP members that includes a Team Leader and a Team Rapporteur, two to four senior planners and two young planning professionals. ISOCARP is able to organise tailor made UPAT workshops for specific locations, tasks and topics and to organise fast response teams. A UPAT workshop takes five to seven days. 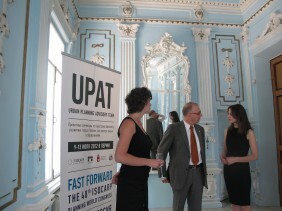 The UPAT team presents the results to all actors and stakeholders at the last day of the workshop, writes a professional report and presents the results on a dedicated seminar on the ISOCARP annual congress. 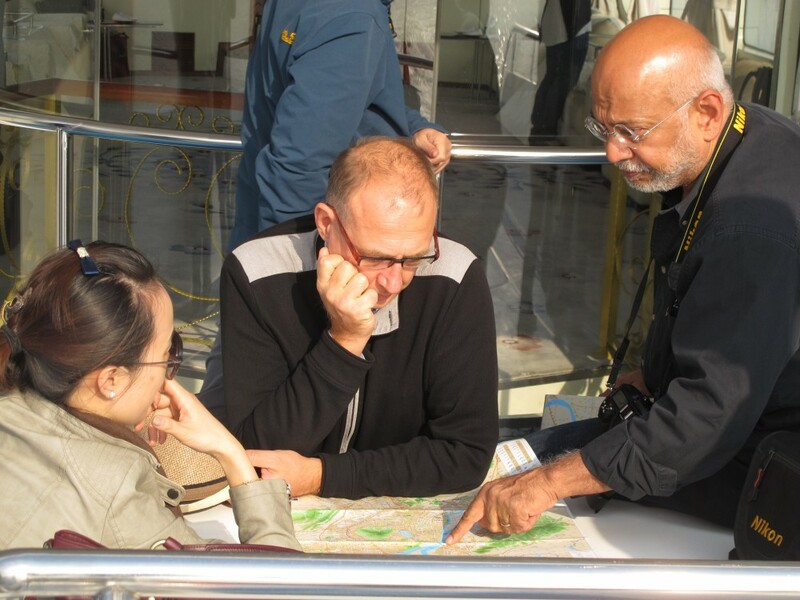 The UPAT workshops are amongst the key activities of ISOCARP as they bring the best planning professionals together from all around the world for four to six intensive days for devising creative solutions, strategic advice or both. 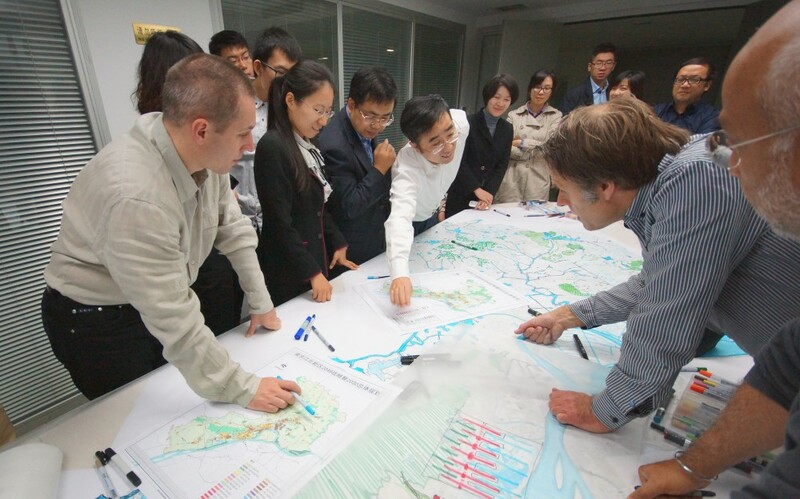 The ISOCARP UPAT workshops in past few years in countries like Russia, China and Mexico show that there is a strong demand for expertise and independent advise from international teams of planning and design professionals. 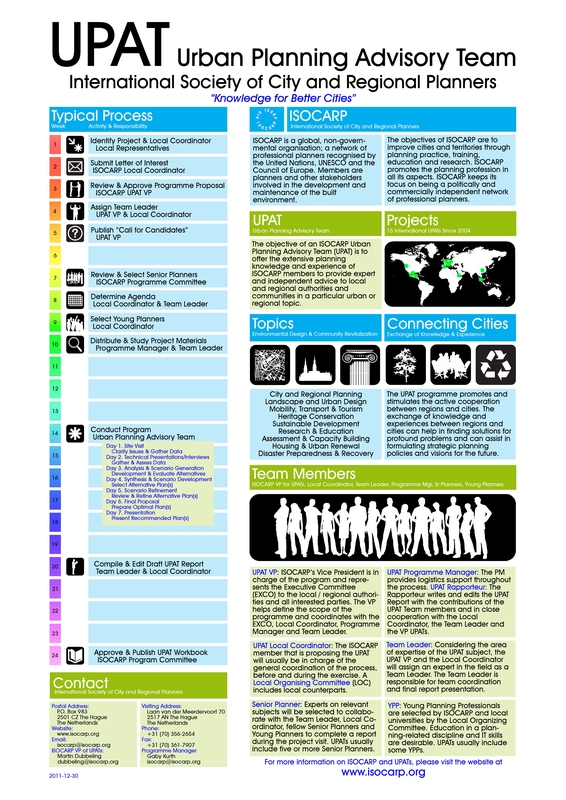 ISOCARP UPAT workshops are organized on demand for cities and regions all over the world. UPAT workshops provide added value in complicated situations and environments where seniority and experience as well as unbridled creativity and open-minded visions are required. For the City of Perm and the Ministry of Education of the Perm Region in Russia an Urban Planning Advisory Team advised on the discussion on where, how and on the conditions to develop a new campus for the nine universities and institutes of higher education. 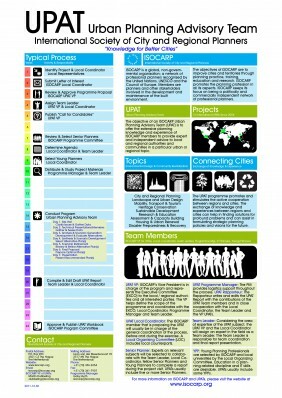 More about Perm as a Science City. 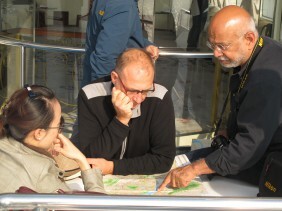 A UPAT Workshop has the potential to make a valid and crucial contribution to enhance awareness, to develop spatial policy strategies and to stimulate a set of integrated activities that would help the city or region to become more liveable, sustainable and, at the same time, generate more tenable economic activities. 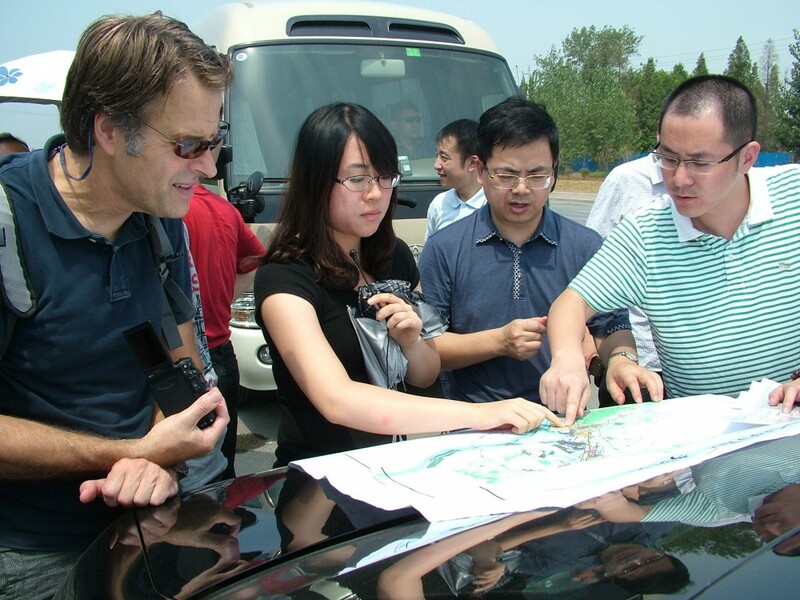 Together with the Wuhan Planning and Design Institute the ISOCARP Urban Planning Advisory Team helped to develop a set of spatial development strategies and sustainability concepts to upgrade the East Lake Scenic Area, a national park of 65 km2 within the fast growing city of Wuhan in central China. More about the East Lake Scenic Area. The objective of this UPAT is to think ‘out of the box’ and to develop simple, practical and original solutions that improve the quality of life in the city or region. These solutions must be implementable and translated into reality within the next five years. For the Shantou Urban Planning Bureau and together with the Nanjing University an Urban Planning Advisory Team made an extensive analysis and design proposals for the organic regeneration of the historic downtown of Shantou, a harbor city in southeast China. More about the historic downtown of Shantou. If you are interested in the UPAT programme or in the outcomes of the above mentioned and other UPAT workshops, please navgate this page. For each UPAT (2004-2013) you can find summaries of the results and you can download most of the UPAT Reports. If you have further questions, please contact ISOCARP’s Vice President Milena Ivkovic, in charge of all UPAT activities at ivkovich@isocarp.org.